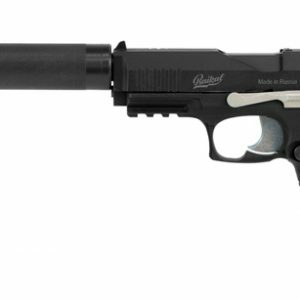 A silenced version of the Makarov pistol or PM was developed for using by reconnaissance groups and the KGB and has dedicated detachable suppressor. The appearance of the game set, mechanical strength, a reliability of construction, ease of handling, the quality of manufacturing and assembly of all parts are identical to the original gun. Handle shells are made of riffled plastic. Reload is done with the breechblock. We use a standard pistol lens tube with optimal fire range up to 320ft. 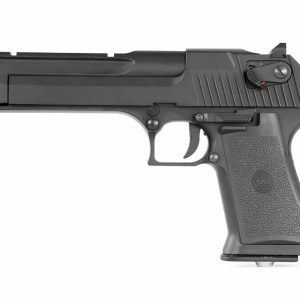 The power button and charging connector are located at the bottom of the pistol grip. The model uses lithium battery as a power source with a capacity of 750 mAh, providing up to 10 hours of battery life. 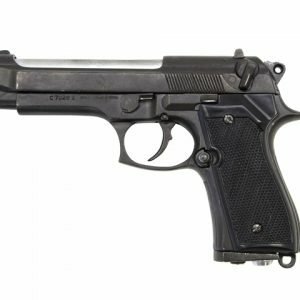 Because of excellent quality PM is a good alternative to Stechkin and Hitman laser tag pistols.